Bombay Brunch is predominantly an authentic Bombay Street Food Café which offers the true taste and feel of staple Bombaiya food in Delhi. Placed between the clutter of Satyaniketan and surrounded by various cafes and food joints, yet Bombay Brunch stands out. It’s like the diamond in the rough. Bombay Brunch is almost a year old cafe and they don’t just bring the food style, ingredients and staff from Bombay, they bring the whole culture and experience as well. Beside the authentic Bombay street food, this place also serves South Indian and North Indian food with a twist, prepped the Bombay way. 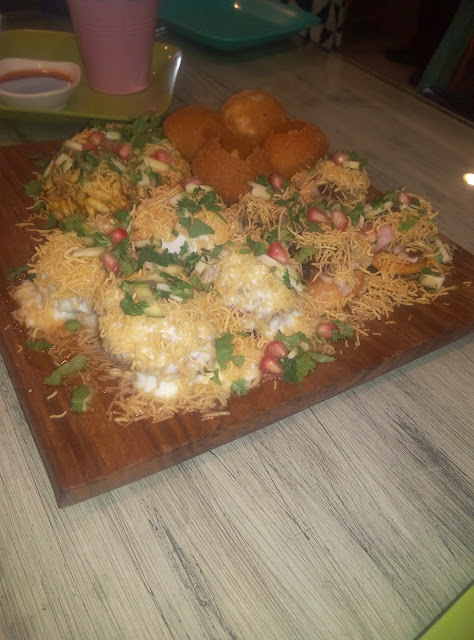 We began our food journey with the Puri Family (The Chaat Platter) - an assortment of 4 different kinds of Puris - Pani Puri, Bhel Puri, Ragda Puri and Dahi Puri. The best part is the live Chaat counter where you can customize your Puris and Chaats the way you want. The main reason for the exclusivity of this place is the source of the ingredients. Most of the ingredients from the bhel to the pani puri to the masalas are all brought down from Bombay itself. 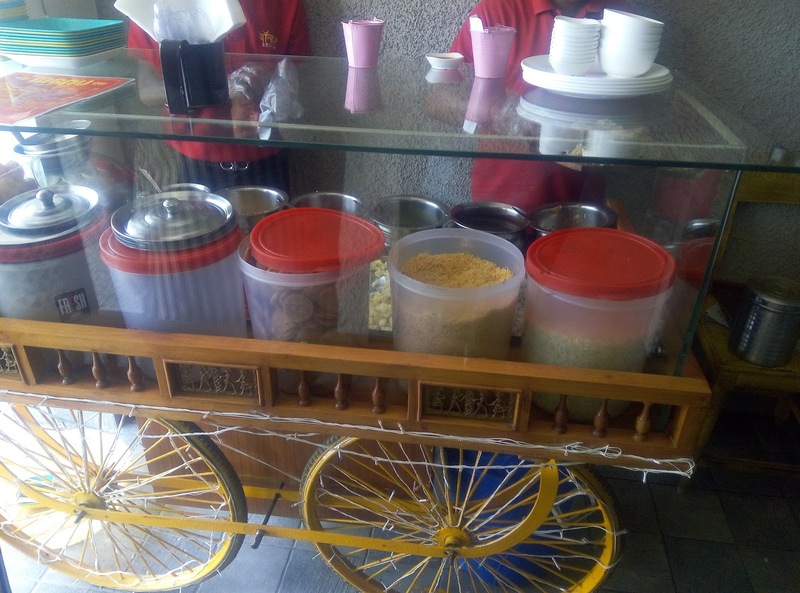 Food Tip – Be certain of where you go on a Paani Puri spree, as the Pani (Spiced Water) is tricky and consuming it at road side carts or commercial places can leave you with an aching stomach. Be certain of the places where you eat Paani Puri. 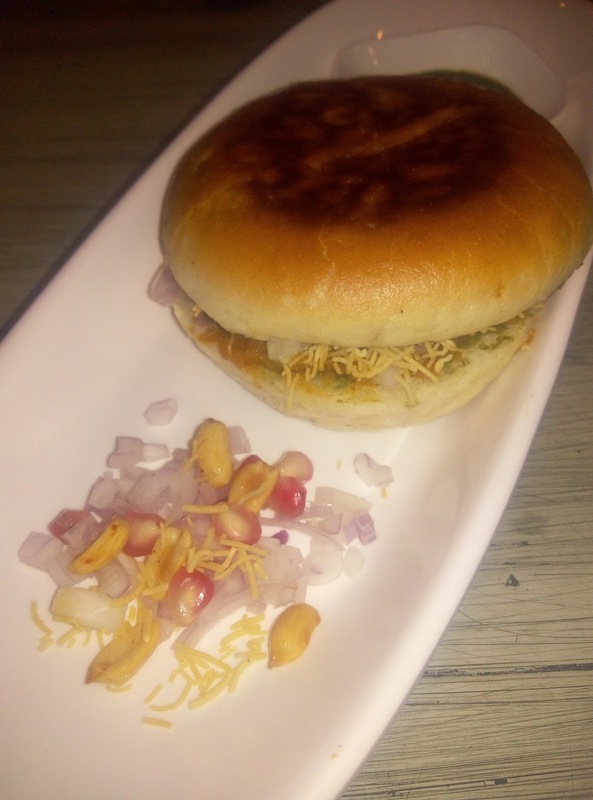 Next came in the Bestseller Vada Pao and the Dabeli – even though many Delhi-ites have not been to Bombay, so they cannot ascertain the original taste. 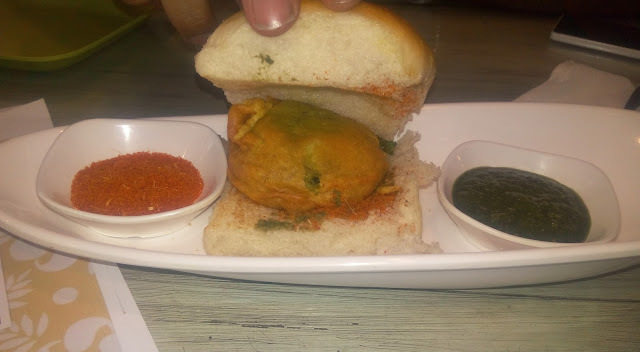 The Vada Pao was purely amazing but the Dabeli wasn't really up to the mark. Next came in the Cheese Toast and the Veg Platter. This was the high point of our meal. 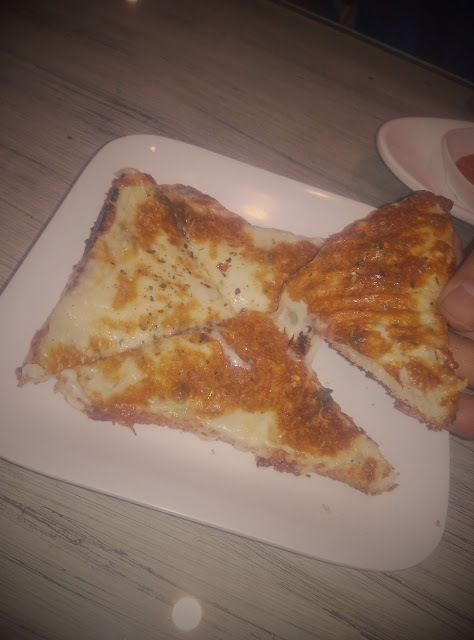 Nowadays, it is easy to experiment and come up with exquisite dishes, but what sometimes blows us away is the fact that a dish as simple as a cheese toast leaves you wanting for more. The veg platter was outstanding as well, especially the stuffed Soya Tikaa. The best I have come across till date. 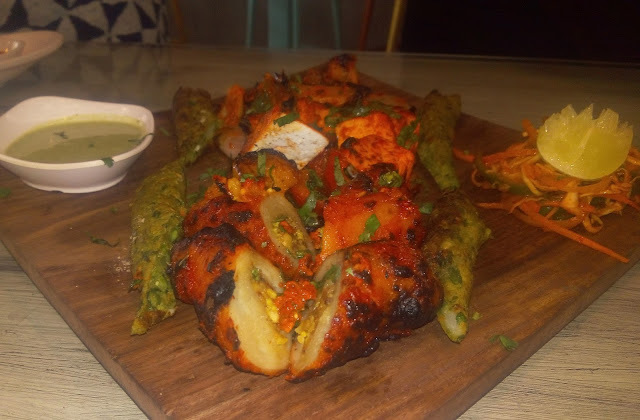 The Soya Tikka has a brilliant fusion of flavors which I will not reveal (Its up to you to find out) and its stuffed with shredded Cottage Cheese. It was absolutely amazing. The veg platter was followed by these beautiful towering Cheesy Dosas so called the Gini Dosa. 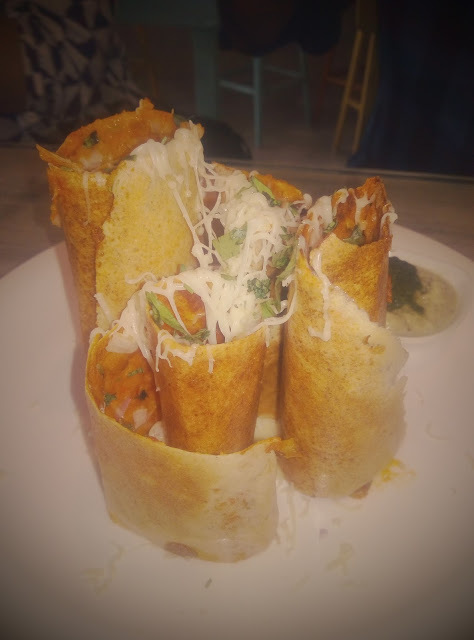 Personally I am not a big fan of dosas, but these blew me away. It’s a must try over here. Its crisp and cheesy and totally melts in your mouth. Finally coming down to the North Indian servings, the Makhni Dal, Shahi Paneer and Naan which rightly has a twist in their aroma and flavor. 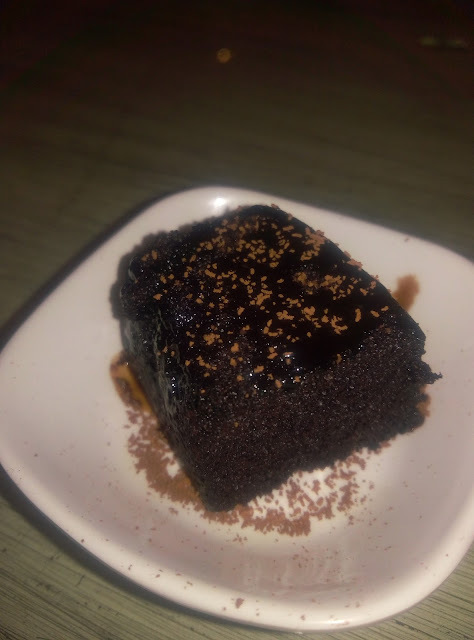 Even though it tasted unlike the traditional ones, it was lighter and had great taste to it. 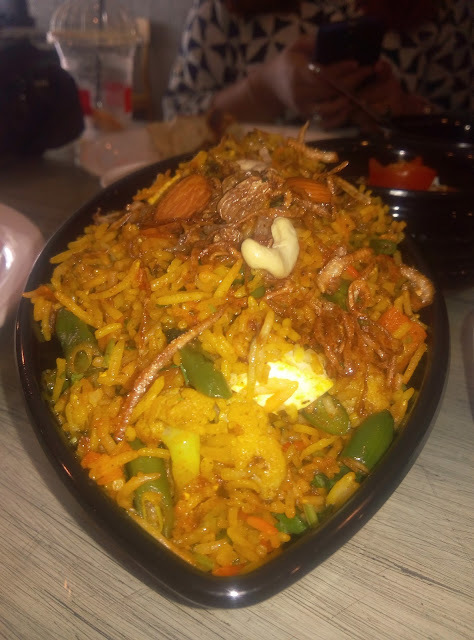 The colorful Vegetarian Biryani was good too, garnished beautifully with dry fruits. For drinks, after every 2 dishes I found myself ordering a Virgin Mojito. I gobbled down around 4 Virgin Mojito as it was really refreshing and well blended. Apart from the food the staff here is prompt and impeccable. Though the outlet of Bombay Brunch is located towards the corner facing the ring road, parking is still an issue in Satya niketan. Its advised to take an auto or a cab to check out this place, at least on the weekdays. 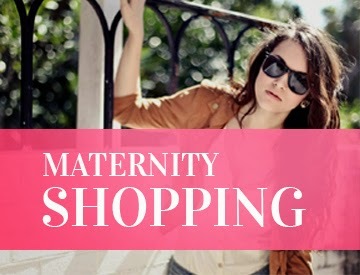 And for those who don’t want to make the effort of leaving their home can order in as they have a delivery service too. The ambiance here at Bombay Brunch is kind off a crossover. PS: Bombay Brunch uses a lot of cheese in its dishes due to the culture in Bombay where cheese is used pretty often. So if you are a die hard cheese lover, this place is a treat for you. Cost for Two - Rs. 600 Approximately.